On March 23, an FIR was registered against the four building owners- Ravi Basavaraj Sabarad, Basavaraj D Nigadi, Gangappa S Shintri, Mahabaleshwar Puradagudi and engineer Vivek Pawar. All four of them surrendered before the police and the engineer was taken into police custody. Dharwad: With rescue operations underway for the sixth consecutive day in Dharwad’s Kumareshwar Nagar, the death toll has risen to 16. Over 60 people have been rescued until now in the building collapse. It is feared that people might be still trapped under the debris. 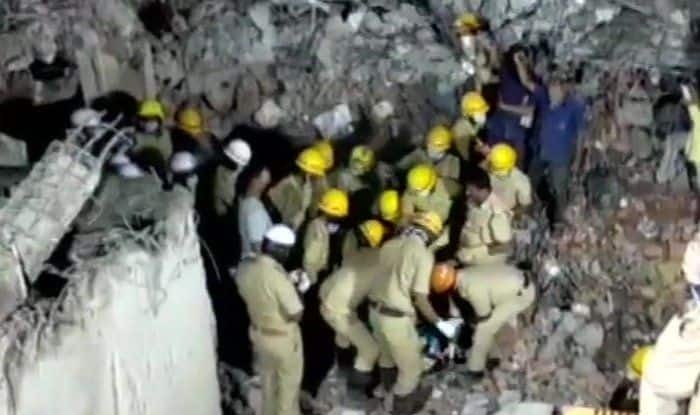 Karnataka Chief Minister HD Kumaraswamy had visited the site and checked the rescue operation being carried out by both the National Disaster Response Force (NDRF) and State Disaster Response Force (SDRF) teams. On March 23, an FIR was registered against the four building owners– Ravi Basavaraj Sabarad, Basavaraj D Nigadi, Gangappa S Shintri, Mahabaleshwar Puradagudi and engineer Vivek Pawar. All four of them surrendered before the police and the engineer was taken into police custody. At least four people, including a couple, were rescued on Friday. The first to be rescued on Friday was a 24-year-old man named Sangamesh Ramanagouda, next to be rescued was a couple– Dileep Kokre and his wife Sangeetha and last to be saved was a 45-year-old woman, Honnamma.